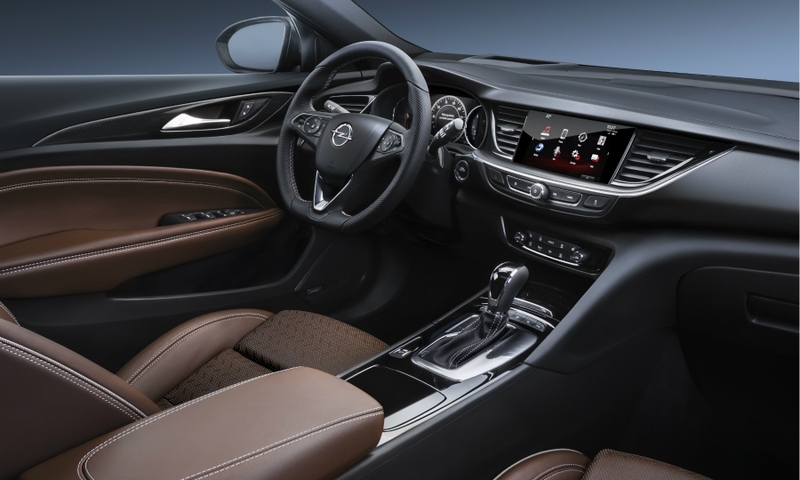 The Opel/Vauxhall Insignia Grand Sport will be the most high-tech car in its segment, Opel said today after releasing the first pictures of the Volkswagen Passat rival ahead of its sales launch next month. 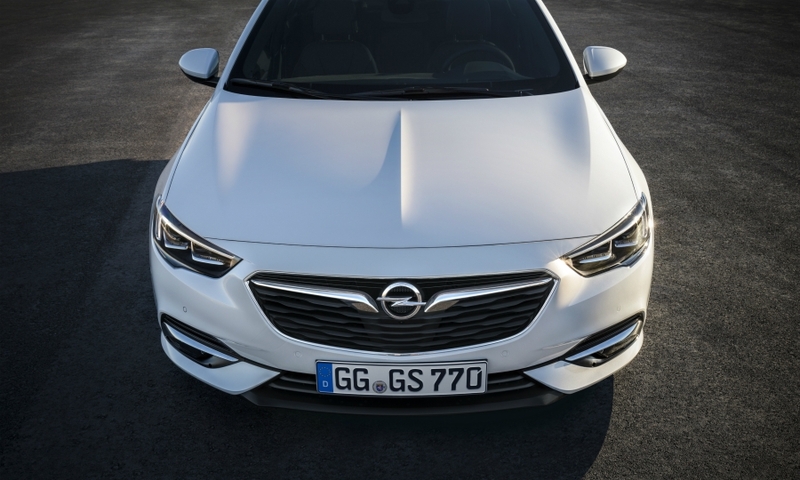 Equipment available on the car will include a head-up display, semi-autonomous lane-keeping assist, a pop-up hood to aid pedestrian protection and the latest generation of Opel's IntelliLink infotainment system that can be used with a Wifi hot-spot function. 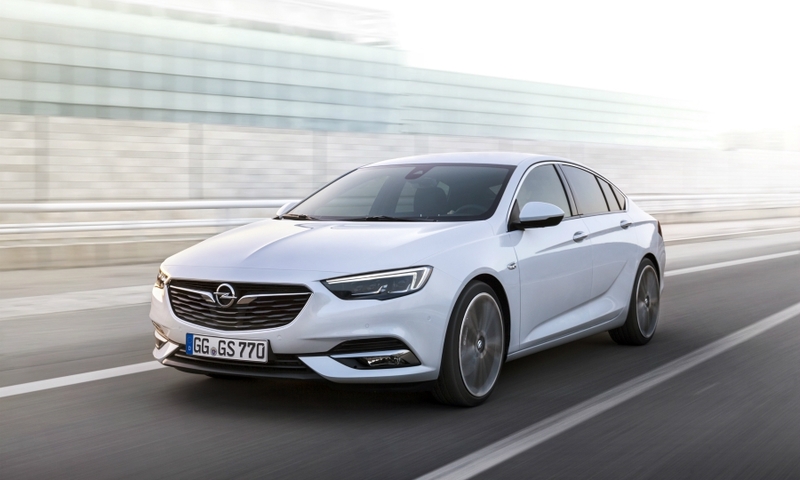 "No other car in the Insignia class can boast as many ultra-modern technologies," Opel CEO Karl-Thomas Neumann said in a statement. 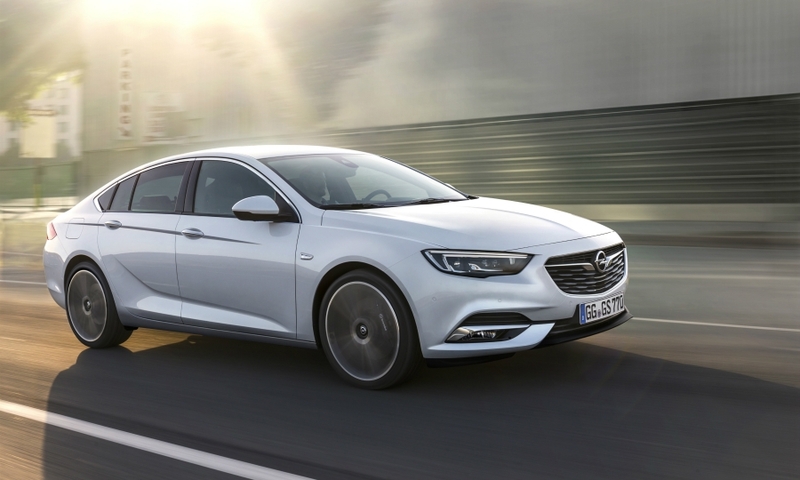 The Insignia Grand Sport hatchback will go on sale in Europe in January. 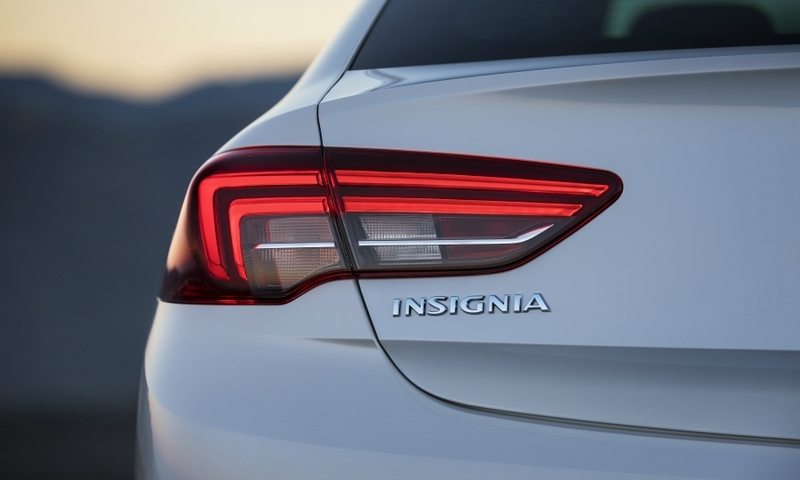 It will be followed in March by the Insignia Sport Tourer station wagon. A crossover inspired version of the wagon called the Country Tourer will also be sold. No sedan model is planned. The Insignia Grand Sport is built on parent General Motors' second-generation Epsilon (E2) platform, which enabled weight to be reduced by up to 175kg. It has a longer and lower exterior, which helps to improve real fuel economy. The new platform allowed Opel's designers to extend the wheelbase by 92mm and reduce the overhangs at the front and back. This helps increase rear legroom. The car is 55mm longer at 4897mm, making it longer than the Skoda Superb. 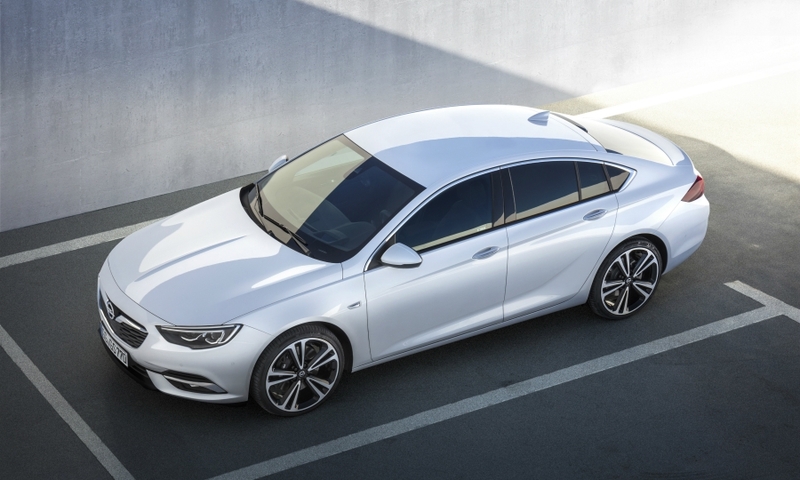 The Insignia Grand Sport has the best aerodynamic performance in its class with a drag coefficient of 0.26 Cd, Opel said. The design of the car is derived from the Monza Concept shown at the 2013 Frankfurt auto show. The inspiration can mostly obviously seen in the wider grille and the lower stance. 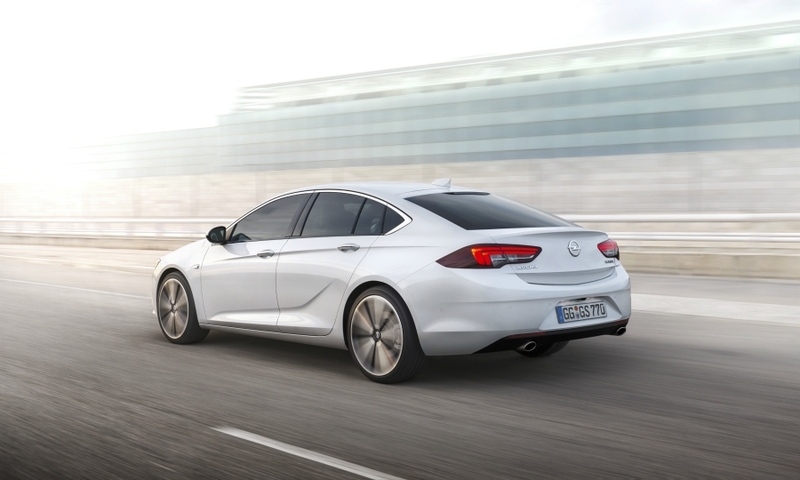 The Insignia Grand Sport is 29mm lower than the current Insignia, while the driver sits 30mm lower. 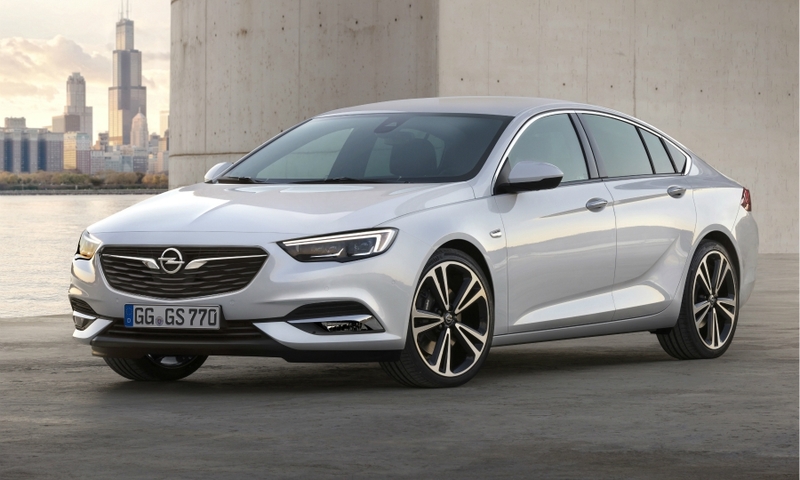 Details such as the LED brake light integrated into the roofline helped give it a more upscale look, Opel's head of design, Mark Adams, said in the statement. "It has the aura of a car from the premium, upper class," he said. 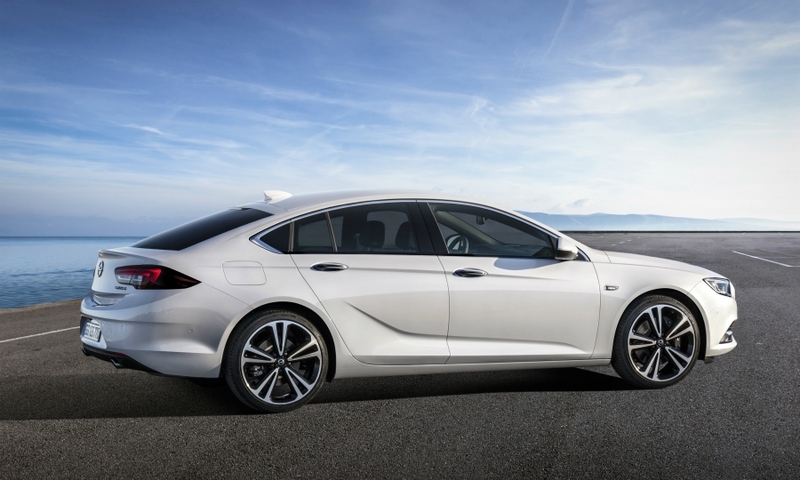 The Insignia Grand Sport will use GM's new 1.5-liter turbocharged gasoline engine, derived from the company's small gasoline engine. It will make 165hp. A lower-powered version will also be available. The model will also come with 1.6-liter and 2.0-liter diesel engines, as well as higher-powered gasoline unit, but no more information was available. 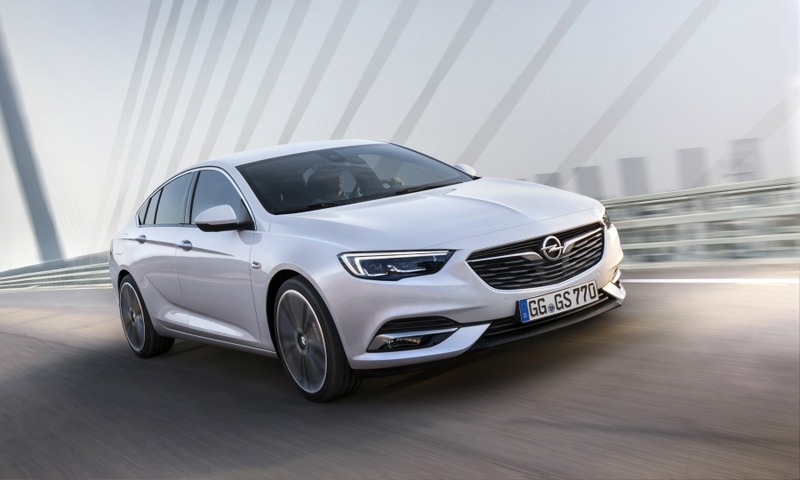 Top-end models will be available with four-wheel-drive and a new eight-speed automatic gearbox, Opel said. An active torque vectoring system that alters the amount of torque going to either rear wheel to improve dynamics will also be available. The Insignia Grand Sport will have its public debut at the Geneva auto show in March. The model will compete in Europe's volume midsize segment, which is on track for a second consecutive year of rising sales as new models from Skoda, Renault and Toyota lift the sector, according to an Automotive News Europe segment analysis.